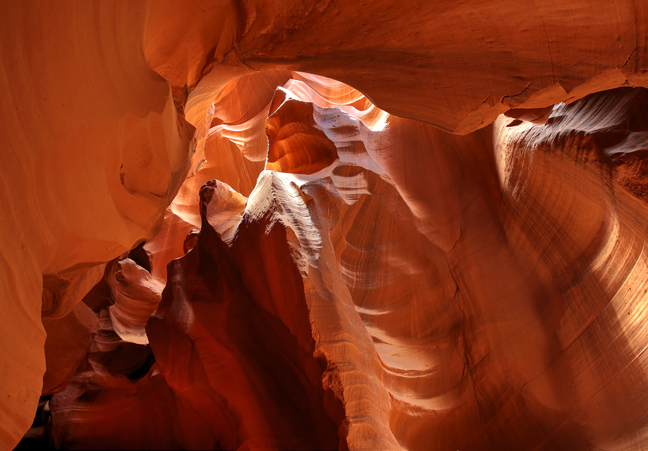 Upper and Lower Antelope Canyons are slot canyons on Navajo land east of Page, Arizona. 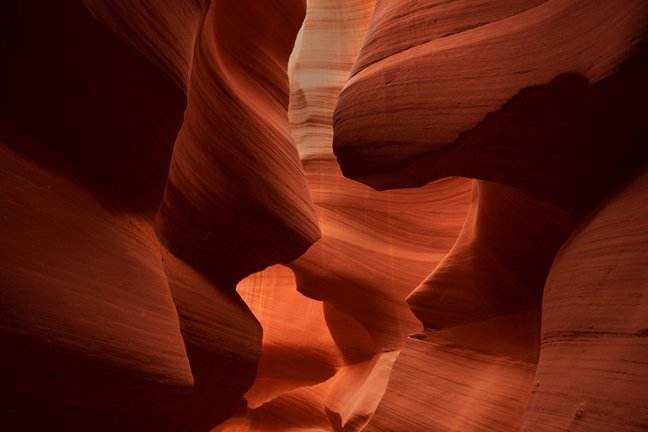 They were formed by erosion of Navajo Sandstone, primarily due to flash flooding. The Navajo Nation encompasses more than 17 million acres, including the northeast quadrant of Arizona and parts of New Mexico and Utah. 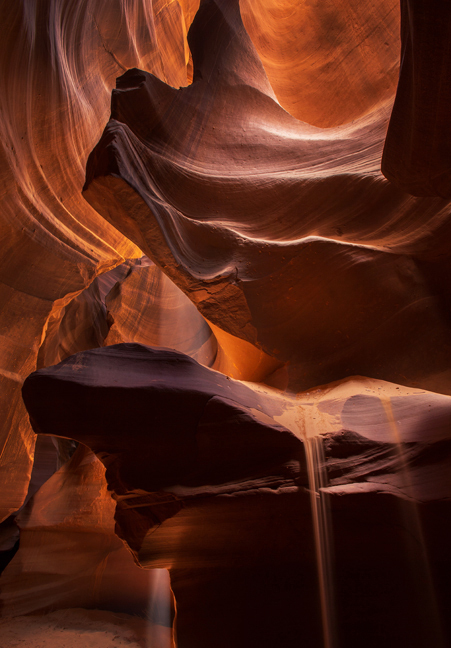 Like many slot canyons, both Upper and Lower Antelope Canyons are prone to dangerous flash floods during the rainy season. 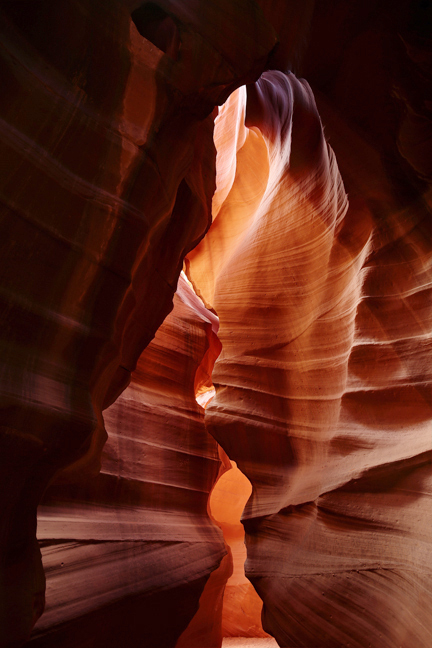 On August 12, 1997, 11 tourists were killed in Lower Antelope Canyon by a flash flood. 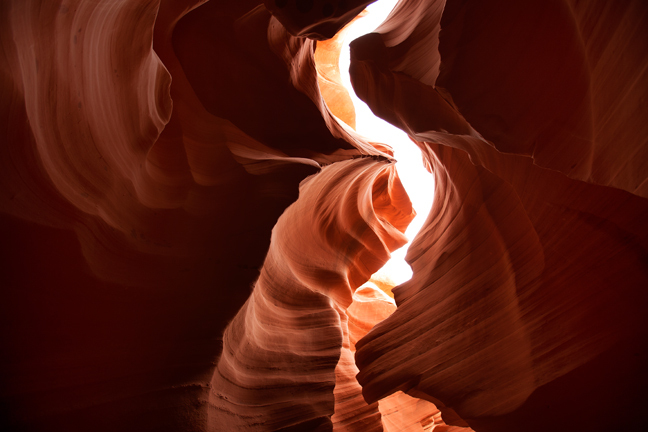 It is difficult for me to call my time in either Lower or Upper Antelope Canyon fun or to remember the experiences for anything more than the tourist attractions they have become. 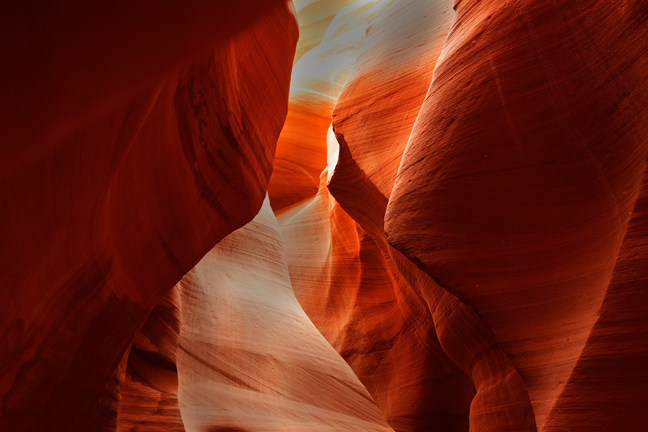 They are beautiful slot canyons managed by the LeChee Chapter of the Navajo Nation for economic gain. 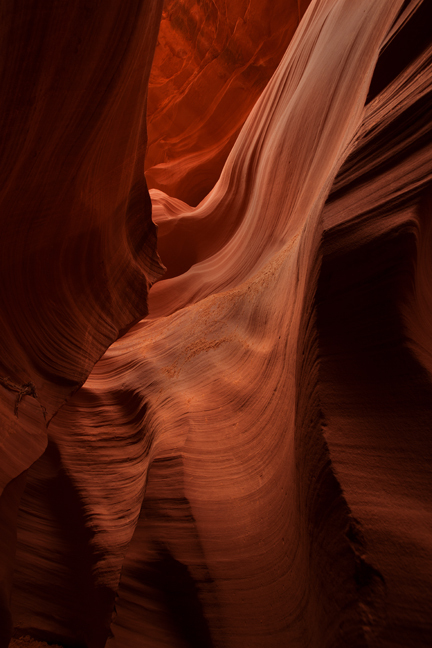 I didn’t make any photographs that haven’t been made a thousand times before and whatever spirituality these canyons used to impart has been compromised by selfie sticks, the crowds, guides throwing sand into the air and staged photo opps. 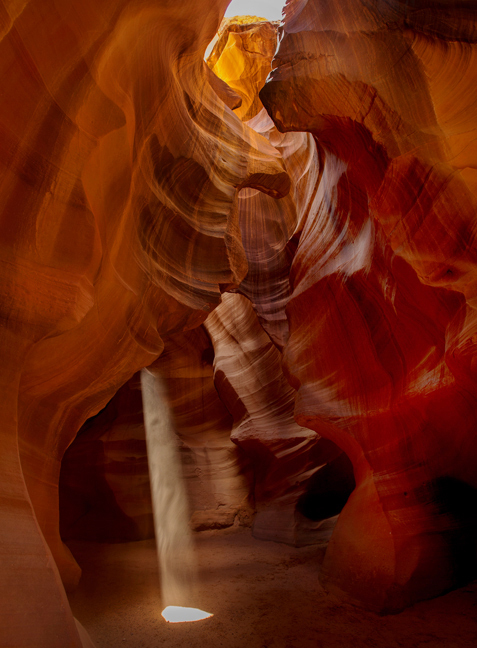 Upper Antelope Canyon is the worst of the two. Even on a photo tour, you are marched to predetermined spots for one or two minutes as your guide tries to hold off other tour groups while throwing sand in the air to illuminate light beams. Some guides are Navajo and some are not. Mine was a Caucasian part-timer who moonlights for Chief Tsosie’s Tours when he is not working as a probation officer in Page. He was good at holding off the surging crowds, not a great sand thrower and a self-described claustrophobic. 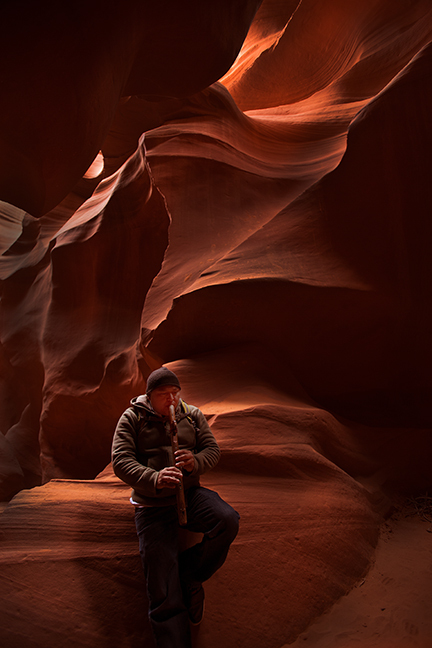 I wondered why he chose to become a slot canyon tour guide. There are literally dozens of tour groups in Upper Antelope Canyon at the same time. Paying double for a photo tour buys you the ability to take in a tripod and guarantees a smaller group size, but even if the group is limited in size you have to fight amongst yourselves for the best spot and have no time for creativity. 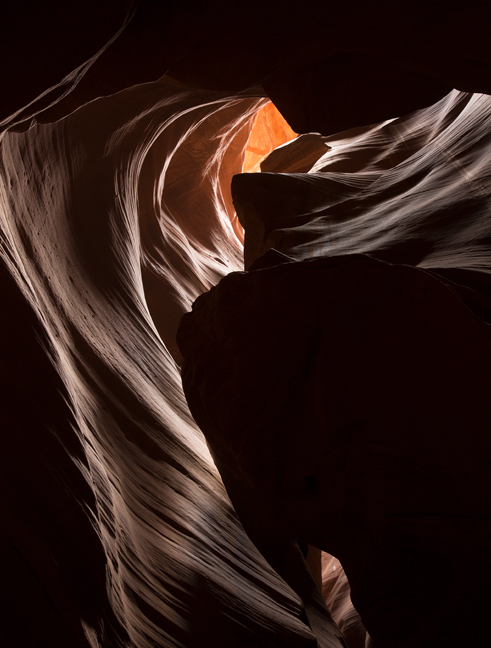 It is a point-and-shoot operation at predetermined locations with guides supposedly knowing where the best pictures are and earning their tips by making light beams easier to photograph at faster shutter speeds by throwing sand into them. I wasn’t disappointed because it wasn’t any different than what I anticipated. Still, I was sad that this is what these sacred canyons have become. I don't begrudge the Navajo their right to make as much money as they can from these canyons by cramming them full of tourists by the truckload from sunrise to sunset. Certainly, their ancestors were treated worse and I imagine that most people don’t give it a second thought.